One of the most important characteristics of an MVP is their ability to single-handedly carry teams to wins. When things aren’t going well for the rest of the team, the supposed MVP should be able to change the course of the game and lead them to a win. That’s exactly what Giannis Antetokounmpo did against the Heat. Early in the game, the high-powered Bucks offense had difficulty getting started. They fell behind by 20 points as the Heat starters outplayed their counterparts. Antetokounmpo refused to quit on the game. He kept attacking and attacking and attacking. The Greek Freak kept the Bucks afloat by playing aggressively, showing no quit, despite the big deficit they faced. Finally, in third quarter when the Bucks offense started to click. Behind Antetokounmpo’s scoring, they were able to chip away at the lead and slowly fight to get back in the game. 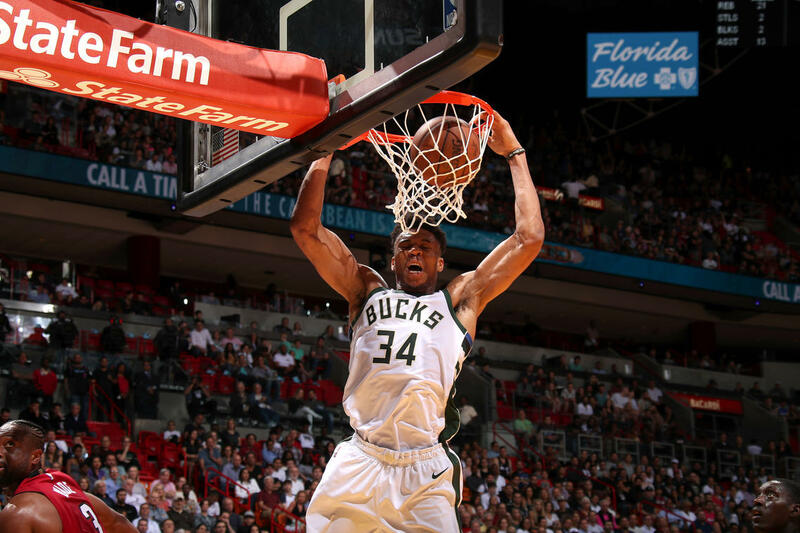 The turning point came midway through the third when Antetokounmpo Euro-stepped through Bam Adebayo and bammed on him with a one-handed dunk. That highlight gave the Bucks the momentum. Milwaukee ran away with the game after that. Antetokounmpo put the exclamation point in the game when he nailed his only three of the game to cap Milwaukee’s score. Giannis put up an MVP statline with 33 points, 16 rebounds, nine assists, two steals and three blocks. Harden continues to make a claim for his second MVP. Early in the season, he was the one constant that the Rockets could lead on when their team was decimated with injuries. Now that the Rockets are healthy, Harden is spearheading their rise back to the top of the West. He was the engine of the Rockets’ offense in today’s game against the Suns. Harden put up MVP numbers with 41 points, nine rebounds, 11 assists, six steals and three blocks. The Suns were playing inspired in today’s game. They refused to let the Rockets pull away from them. It was only in the final minute of the game when Houston was able to secure the win. Harden gave the Rockets the lead back on a strong drive to the hoop midway through the fourth. He then extended their lead to six with a floater near the two minute mark. Phoenix cut the deficit down to two with a minute left in the game. That’s when Harden sealed the win, not with a bucket but with a smart pass. He sucked up the defense to the left side of the court and then found Danuel House wide open at the top of the key for the dagger three. Houston is currently at third in the West. They rose all the way from the bottom of the Playoff picture to nearly back to their top spot in the conference last year. A lot of the credit for their rise goes to Harden. With 3:53 left in the second period, Damian Lillard knocked down a long straightaway three-pointer. That shot not only cut the Pelicans lead down to two, it also put vaulted Lillard past LaMarcus Aldridge for second All-Time in Portland’s scoring list. Lillard is one of the most beloved sports icons in Portland. Yes, he’s a talented player who deserves all the accolades he works hard for. But more than that, he had embedded himself in their community and has made Portland his new home. Now he’s only got one of the most famous Portland basketball players to eclipse: Clyde Drexler.